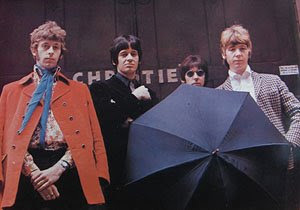 The Creation were formed in 1966 with Kenny Pickett on vocals, Eddie Phillips on lead guitar, Mick Thompson on rhythm guitar, Jack Jones on drums and Bob Garner on bass. (The first four mentioned had been in Mark Four, accompanied by John Dalton who had left to join The Kinks. The Creation's style was originally loud pop-art, similar to The Kinks and The Who, but developed into a more typically mid-60s psychedelic sound. 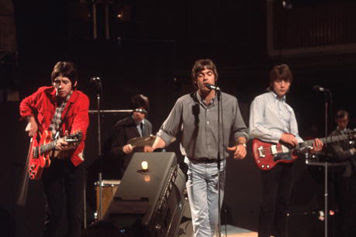 Eddie Phillips was one of the figureheads of the new wave of British guitar heroes, and was even asked by Pete Townshend to join The Who as a second guitarist. Eddie was the first guitarist to use a violin bow with a guitar, which later inspired Jimmy Page of Led Zeppelin to do the same. The famous independent record label Creation Records was named after them and the founder of Creation Records, Alan McGee, also had a band named Biff Bang Pow! after a Creation song. Subsequently, Creation Records released a record by the reformed band in 1996. This song in fact comes from that cd (I made the video hoping to confuse you). These guys were actually in their 50’s when they made this song - sounding like they still had all the energy and attitude of a bunch of teen punks! Sadly, Kenny Pickett died in 1997.